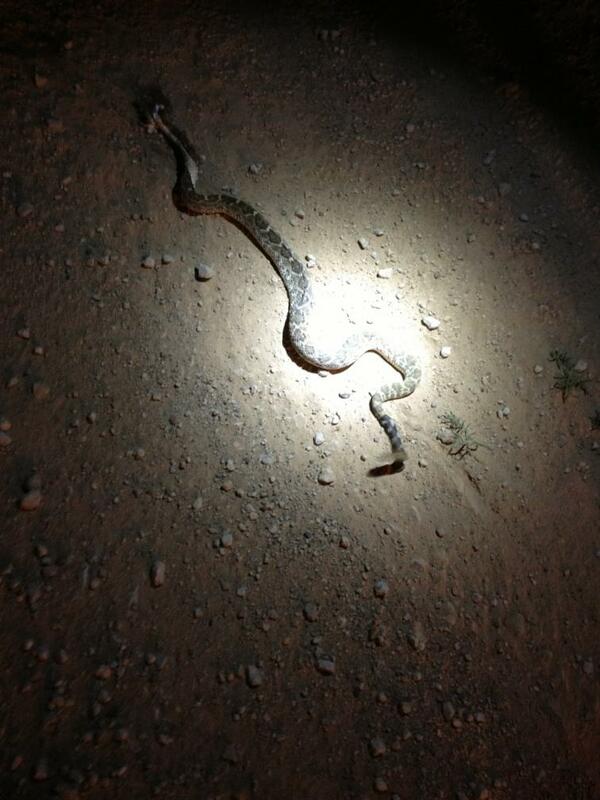 Rattlesnake on our hunting lease. Look what we killed on our hunting lease. Darn glad I didnt step on this dude. He had 12 rattlers. Is it long enough to make a belt out of? If you're gonna kill it, might as well eat it or make a trophy outa it....right? I think the guy that killed it, did take it home wth him. That's was a big one. Were did you find that little baby? on the road inside our lease close to Cisco, Tx. It's still a little early for them to take a nap, They grow bigguns in Atascosa county where we hunt but I don't care what size they are the sound of them rattle bugs will scare the life out of you! Glad you were faster on the draw. Only saving grace I know for feral hogs is that they eat Mr. Nolegs whenever they find them. All except the head.